All the small extras that were provided - this was really convenient and thoughtful! There was so much space with the 5 of us in there - the BBQ area and the proximity of the pool were amazing! 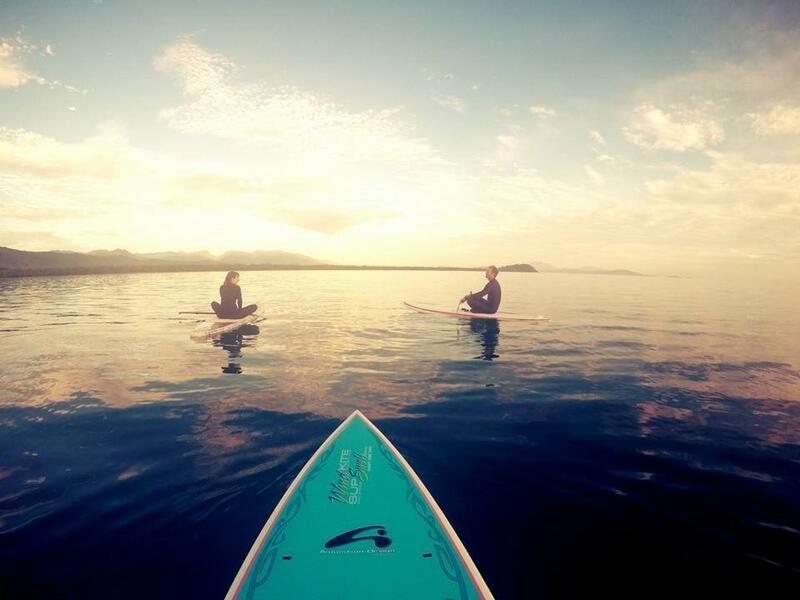 Great apartment, close to good amenities and the beach but also nice and quiet. Hosts added in lots of little extras which were lovely. We would definitely stay here again. The apartment was really nice, it was close to the beach and the facilities within the apartment and within the Mantra were excellent! Angie has really thought of every little thing you may need while staying in this apartment, - mosquito coils, deck of cards, beach bag, bbq and she hasn’t skimmed on quality for basic toiletries. Short walk to beach and walking distance to shops, restaurants and cafes. 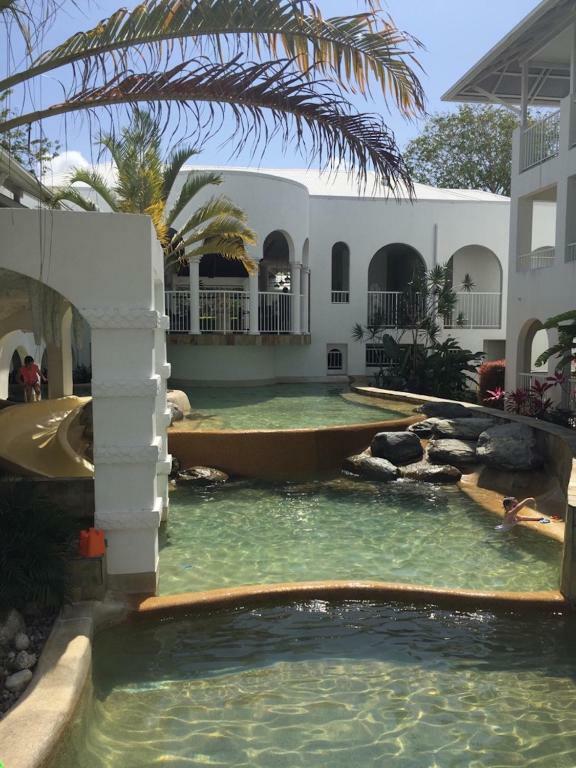 We loved our stay here, I wouldn’t hesitate to book again when we come back to Port Douglas and i highly recommend you to. Personal touch and homely. Nice selection of books, personal BBQ, dual key apartment with tv in both. Close to beach and 10 min walk to main strip. Free wifi always helps. We were in a privately owned apartment. It was beautifully presented in a really nice location. Great location. Very comfortable. TV’s, Wi-Fi & Foxtel. Lock in a great price for Portsea 26 – rated 9.1 by recent guests! Portsea 26 This rating is a reflection of how the property compares to the industry standard when it comes to price, facilities and services available. It's based on a self-evaluation by the property. Use this rating to help choose your stay! Located in Port Douglas, Portsea 26 has accommodations with a private pool. Guests can enjoy free WiFi. This apartment has a living room and a fully equipped kitchen. The air-conditioned apartment also provides a flat-screen TV, and a bathroom with a hot tub, a bath and a shower. Staff at the 24-hour front desk can give tips on the area. Spa and wellness facilities including a hot tub and a fitness center are at guests' disposal during their stay at the apartment. Guests can enjoy the outdoor swimming pool at the property. Marina Mirage is a 15-minute walk from Portsea 26, while Crystalbrook Superyacht Marina is 0.9 miles away. 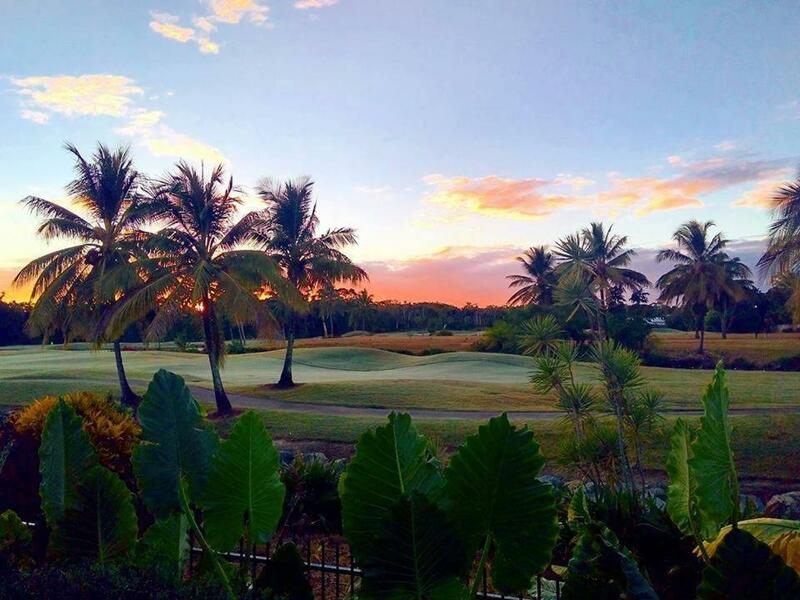 The nearest airport is Cairns Airport, 41 miles from the property. This property is also rated for the best value in Port Douglas! Guests are getting more for their money when compared to other properties in this city. 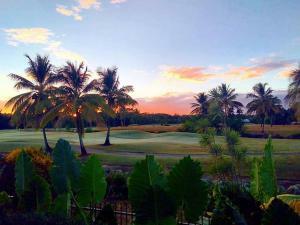 뀐 Located in the top-rated area in Port Douglas, this property has an excellent location score of 9.2! When would you like to stay at Portsea 26? This apartment has a balcony, private pool and tumble dryer. PORTSEA 26 is close to the main street of Port Douglas and 2 min walk to lovely 4 mile beach. It is a very popular property for families to holiday with the apartment having a separate area for the kids giving sufficient space for mum and dad. The resort has a choice of pools to laze by or swim in, a tennis court if you're feeling energetic (rackets provided), outdoor spa, communal barbecues (although we have a private bbq for our guests specific) and of course it’s in a great location. The main pool has graded entry areas (making it safer for little ones), different levels of pool to entertain the bigger kids, a water slide with a larger than life crocodile feature in it. It has 2 bedrooms 2 bathrooms, living area & full kitchen. The main balcony with outdoor dining setting has a swim-up pool with gated access. Louvred screens around the balconies mean added privacy. 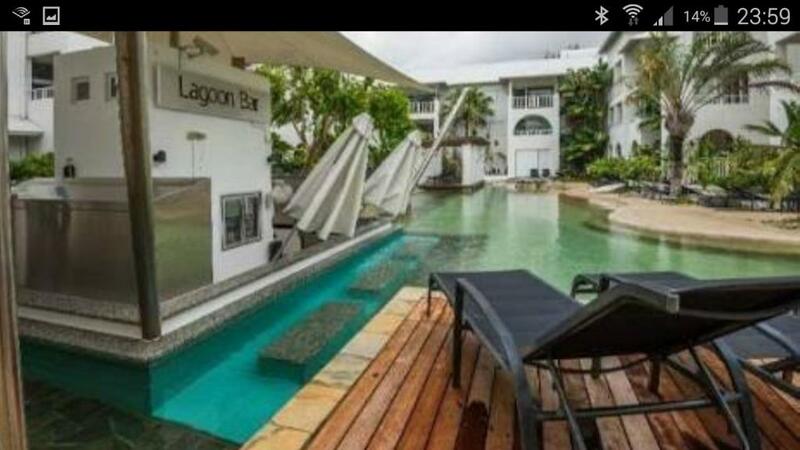 This apartment is a winner for any family visiting Port Douglas will the many activities to do around the town. 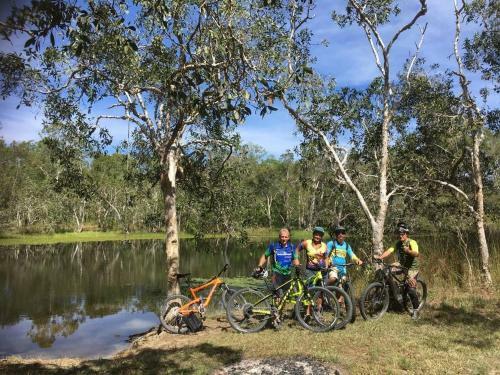 We are also the owners of the Bike Shop in town and if you require bike hire we will offer you a 20% discount on your hire (just mention it you are our guests) (School holidays not included) . 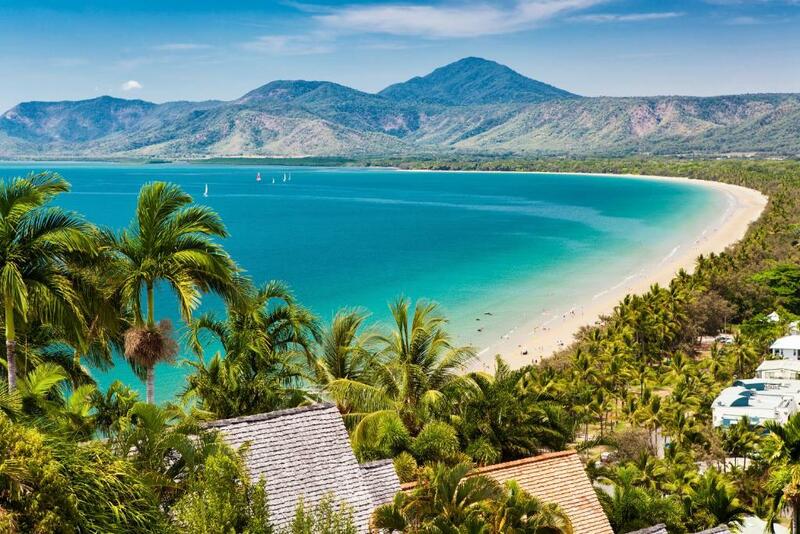 We have lived in Port Douglas for 3 years, we love the outdoors and arrived in Port Douglas with a dream of a lifestyle to get away from the rat race of the big smoke. We purchased the Bike Shop and Hire which is located behind Coles in Warner Street and as we live locally we are readily available to assist with any questions regarding your stay and also have a wealth of local knowledge on cycling, hiking and other outdoor activities in and around the Douglas Region. 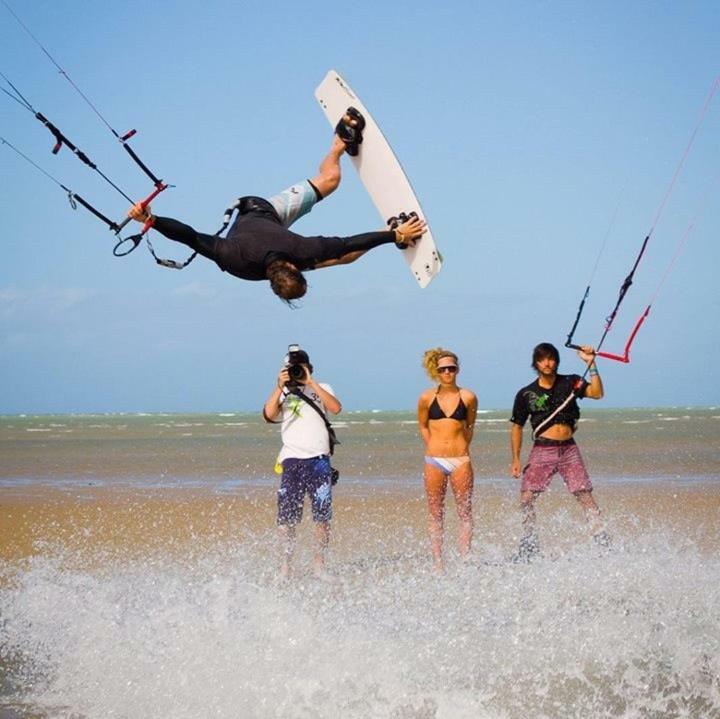 We also offer discount from our Adventure Centre Tour Booking office at 54 Macrossan Street for the more adventurous clientele and discount on bike hire and scooter hire come and see us at the shop or call us to order your bikes, scooters or adventure tours. House Rules Portsea 26 takes special requests – add in the next step! Portsea 26 accepts these cards and reserves the right to temporarily hold an amount prior to arrival. Please inform Portsea 26 of your expected arrival time in advance. You can use the Special Requests box when booking, or contact the property directly using the contact details in your confirmation. In add it stated “private pool”. When it was for the public. Couldn’t adjust aircon temp in living room? Found small worms in Nespresso milk (where you froth the milk for coffee pods). Doesn’t suit a large family, no dishwasher or oven to suit a family. Pool isn’t private it’s shared with everyone.uncomfortable,small,mozzie ridden,not child friendly. Bought own toilet paper. Not enough blankets, no room to store food. No mattress protector .felt couldn’t ask for extras as host wasn’t around but her cleaner had to bring things next day which wasn’t convenient when we needed them straight away. No laundry Had to pay for laundry. Parking on the road doesn’t suit when you hire a car. Spa didn’t work. All this made the stay feel like a waste of money and expectations on what was offered. She offered a bike hire however doesn’t suit our family a voucher or credit for a meal would work. Overall wouldn’t recommend it. Unfortunately was the thoughts of all the family. Our first holiday in 6 years ended with disappointing accommodation. Pool right out the gate. Big pool was great. Great it’s on bottom floor. Nice touch with coffee, chips and chocolates on arrival. Love the pool and facilities around.